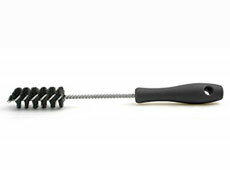 When it comes to maintaining automobiles, you need reliable and quality automotive brushes. 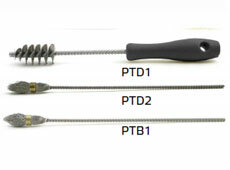 Brush Research Manufacturing offers Cummins Group automotive brushes to remove rust, carbon deposits and dirt from hard to reach places. 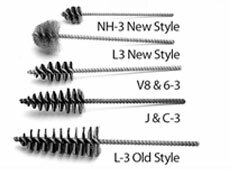 Whether you're looking for automotive brushes to assist with changing an injector or to help ensure proper seating of newly installed coppers, Brush Research Manufacturing has the solution for you. 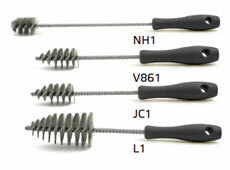 Browse the selection below and contact a distributor today to learn more about our selection of automotive brushes. 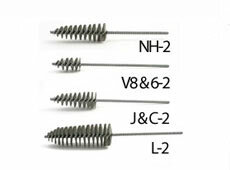 NH-1 .005" SS 1.175 1 1/2" 14 1/2"
V8 & 6-1 .006" SS 1.155 2 1/8" 10 1/2"
J&C-1 .006" SS 1.200 2 1/8" 10 1/2"
L-1 .006" SS 2.050 3 5/8" 12"
NH-2 .006" SS 1.625 4 1/4	" 10"
V8 & 6-2 .006" SS 1.125 2 1/8" 10"
J & C-2 .006" SS 1.350 3 3/8" 10"
L-2 .006" SS 2.250 6 1/2" 12"
NH-3 New Style .005" SS 1.175 1 1/2" 8 1/2"
L-3 New Style .008" SS 2.125 1 3/4" 10"
V8 & 6-3 .010" CS 1.250 2 1/8" 10"
J & C-3 .012" CS 1.500 3 1/4" 10"
L-3 Old Style .012" CS 2.500 6 1/2" 12"
PTD-1 .006" SS .975 2" 10 1/2"
PTD-2 .005" SS .312 1" 6 1/2"
PTB-1 .005" SS .375 1 1/4" 6 1/2"